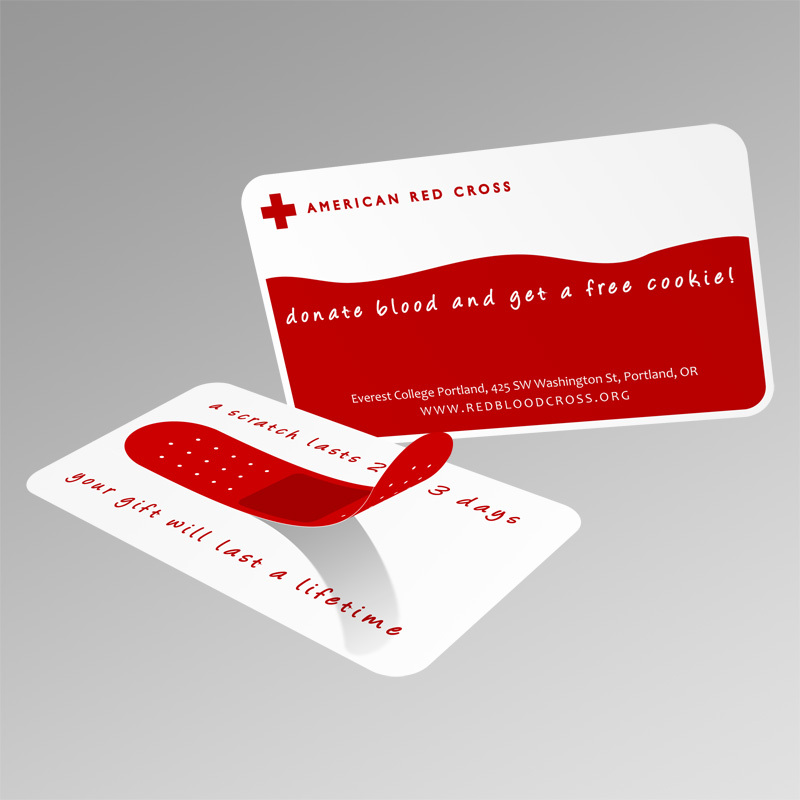 This is a concept business card designed for American Red Cross. The idea is to provide potential blood donors with a simple message, which is also augmented with an object relating to the message. In this case, the message reads “a scratch lasts 2 to 3 days… your gift will last a lifetime”, and the object is an appropriately colored red band-aid. Business card designed for American Red Cross.